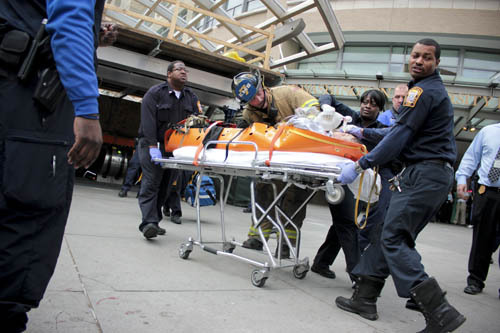 This photo, showing medics tending to a man struck by a Metro train in March 2012, earned first place for breaking news photography. The Hatchet earned regional honors from the Society of Professional Journalists this week, including best affiliated website and breaking news reporting. In addition to nods for photography and news and editorial writing, the paper was named the No. 2 best all-around non-daily paper in Delaware, Maryland, North Carolina, Virginia and D.C. The five first place submissions for the annual Mark of Excellence awards will move on to the coveted national competition, which honors the best collegiate journalism across the country.